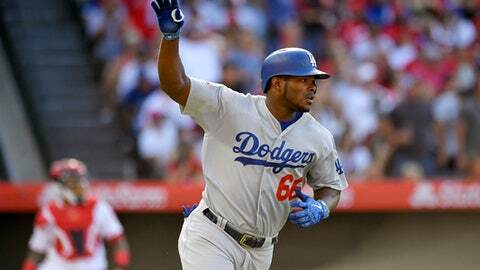 ANAHEIM, Calif. (AP) Los Angeles Dodgers outfielder Yasiel Puig is likely headed to the disabled list after leaving in the fifth inning against the Angels with what the team announced was a strained right oblique. Puig hit a three-run homer – his 11th of the season – in the second inning. He was 1 for 2 with three RBIs.